We are a privately run preschool for children of 2-5 years. Children can join us the half term after their second birthday. Parents will be required to complete a Registration Form. Prior to your requested start date a senior member of staff will contact you to discuss session availability and arrange settling in visits that are convenient to you. Further details can be found in our Admissions Policy. Fees are reviewed annually in the summer term, with any increases put into place the following September. They are payable in advance. The nursery is unable to waive fees for absences due to holidays and sickness. If you wish to remove your child from nursery, we require a full half terms notice in writing. 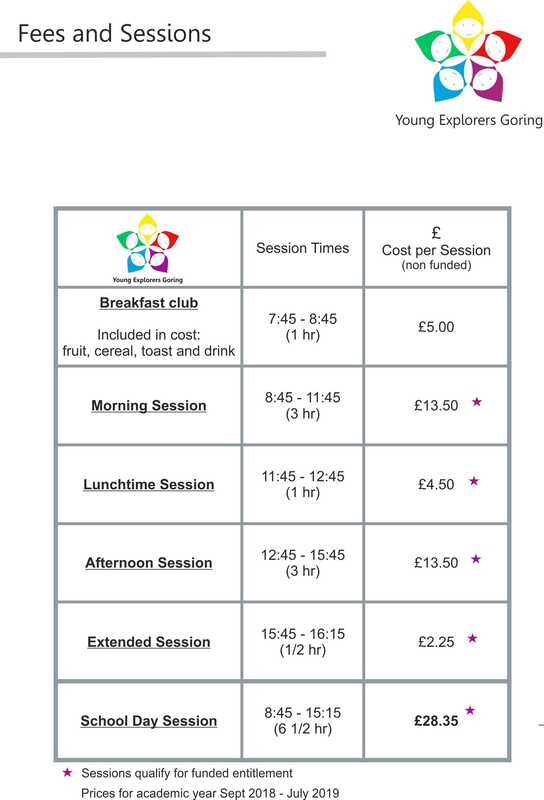 Parents/Guardians are also asked to pay a Voluntary Healthy Snack Contribution of 30p per session. It is voluntary and parents are under no obligation to pay it, but it helps us provide healthy snacks for the children on a daily basis. We will be registered to accept funding for 3 and 4 year olds. From September 2017, you may be able to get 30 hours a week of free early education and childcare. A Parent/Guardian Declaration Form must be completed and signed each term in order for your child to receive the Nursery Education Funding. Please see Donna MacLeod, Nursery Manager the further information.